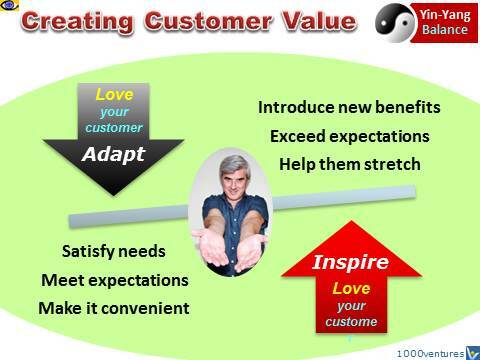 Every business that wants to be successful must focus on creating greater customer value. Great sustainable profits are never attained when sought after directly. They come as a by-product of creating and delivering great value to customers. 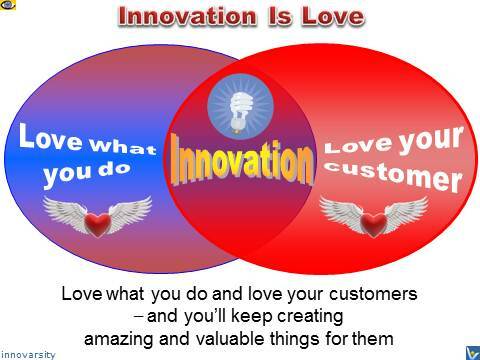 To keep creating truly great customer value, a company must start with establishing the culture of → love for customers. The rest will follow. Strive to get deeper understanding of what drives value for customers, how to align your entire company to focus on value creation, and how to communicate value. Assume the perspective of your customer and ‘taste’ your products and services to gain deeper customer insight and understand the real value of your offerings. 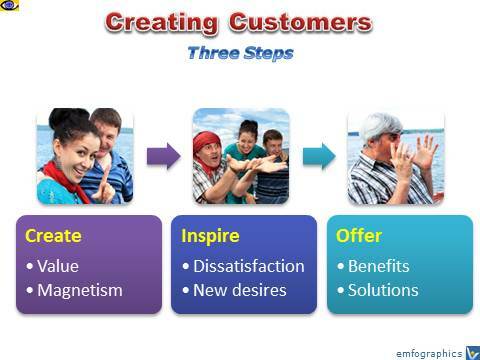 Listen to your real customer and use customer feedback to identify top sources of dissatisfaction and opportunities for improvement. Henry Ford whose cars revolutionized transportation once said, “If I had asked the public what they wanted, they would have said a faster horse.” Satisfying known customer needs brings bottom-line results. Bold new initiatives that create radically new customer value add to your top-line growth. You can also create breakthrough customer value by building a new synergistic combination of existing solutions and benefits.